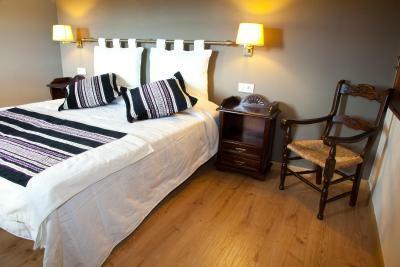 Lock in a great price for Hotel Cardenal Ram – rated 8.7 by recent guests! Nice views, easy parking and access, lovely beds and breakfast in a formal dining area w views. A real surprise for such a charming street. For the price, we felt royal. Very comfortable bed, lovely view from our room. It was right on the main Street. Comfortable room. Great staff. Restaurant served great food but not an extensive selection. Breakfast was wholesome. Excellent hotel, great location, and amazing rooms! We got one room with Mountain view (recommended) and it was very nice, big room, very clean, and nice ambiance! Hotel staff was very helpful, and it is just right in the middle of the city. A lovely spacious room. The hotel is in a great location. 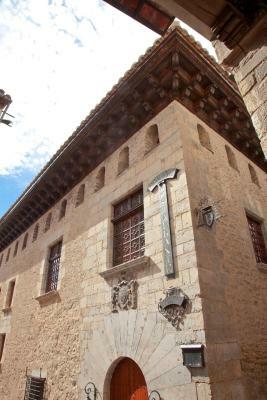 Beautiful historic building in a central location in beautiful Morella. 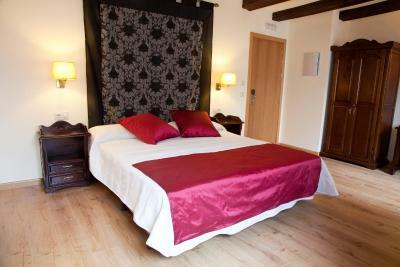 Comfortable room and excellent staff. 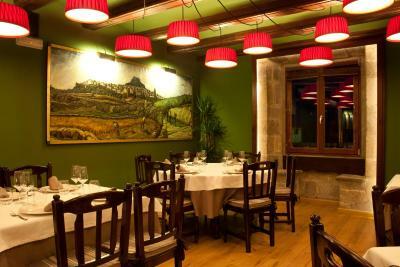 Fine restaurant. 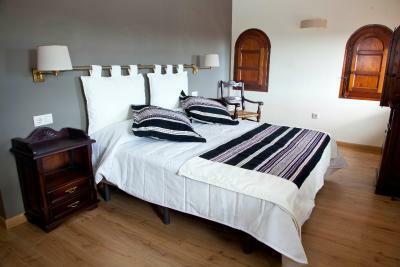 Hotel Cardenal Ram This rating is a reflection of how the property compares to the industry standard when it comes to price, facilities and services available. It's based on a self-evaluation by the property. Use this rating to help choose your stay! 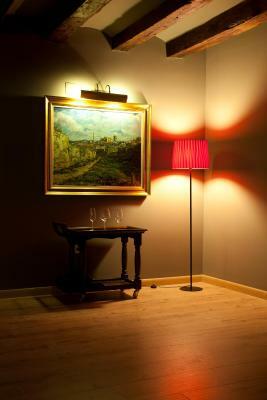 Set in a 16th century former palace, Hotel Cardenal Ram offers elegant rooms with free Wi-Fi, a beauty parlor, and a charming restaurant. Located in Morella, it has beautiful mountain views. 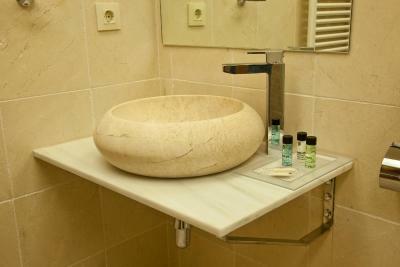 The spacious, air-conditioned rooms mix contemporary and rustic décor. Each one comes with a flat-screen TV, mini-bar, safe, and a private bathroom with free toiletries and a hairdryer. 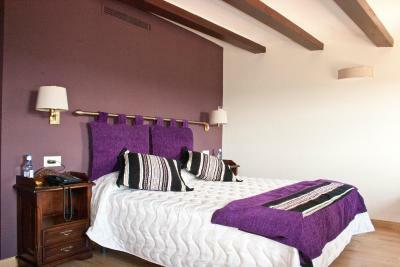 There are also 3 rooms which are adapted for guests with reduced mobility. 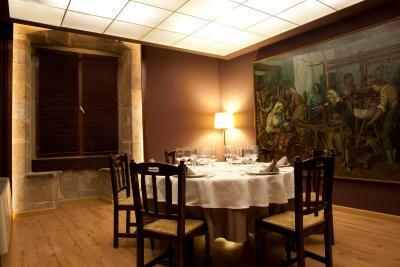 Cardenal Ram’s restaurant-bar serves traditional dishes and continental breakfast. In the summer it offers a terrace. 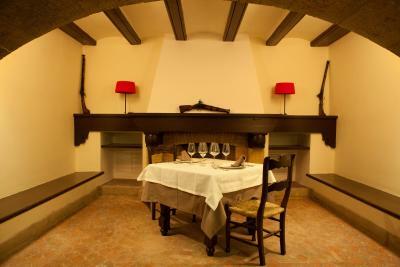 There are also a few other dining options in Morella. Tinença de Benifassá Nature Reserve is a 30-minute drive away, while the beaches on the Costa del Azahar Coast can be reached in 50 minutes’ by car. 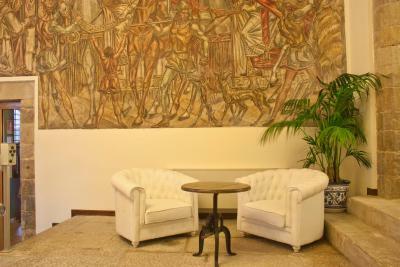 When would you like to stay at Hotel Cardenal Ram? 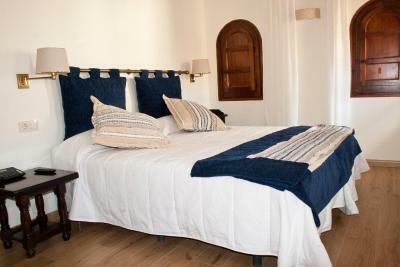 The spacious, air-conditioned rooms have an elegant décor and offer views of the mountains or the town. Each one comes with a flat-screen TV, mini-bar, safe, and a private bathroom with free toiletries and a hairdryer. 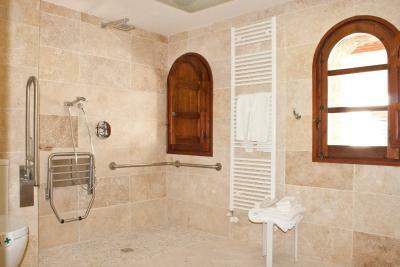 There are also 3 rooms which are adapted for guests with reduced mobility. 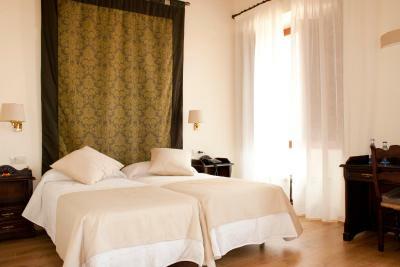 This twin/double room features air conditioning, soundproofing and mini-bar. This suite has air conditioning, soundproofing and mini-bar. 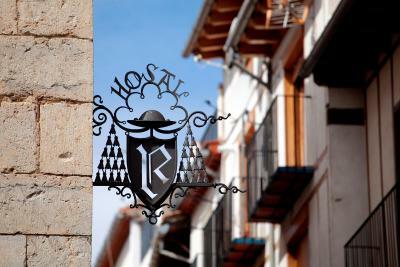 House Rules Hotel Cardenal Ram takes special requests – add in the next step! Hotel Cardenal Ram accepts these cards and reserves the right to temporarily hold an amount prior to arrival. 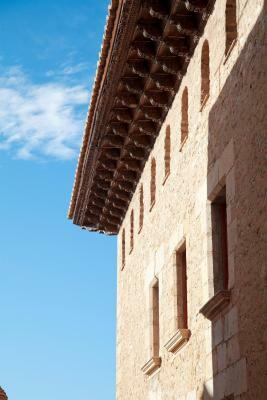 Please note that Hotel Cardenal Ram has off-site parking. On your arrival there is a loading bay outside the hotel where you can leave your car while you unload. Hotel staff will then direct you to the hotel's car park. 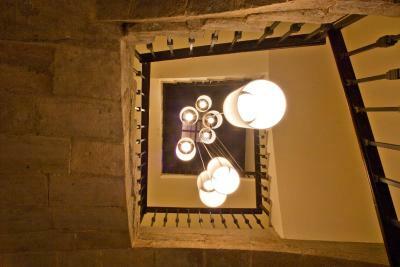 Please note that Hotel Cardenal Ram's main entrance is 4 steps below street level. The restaurant wasn't open during our stay. Staff. Service. Food quite basic. The hovac unit in the room was tricky. We needed assistance to program it to the right temperature. Amazing hotel. In truth, it's a 4 star hotel with a pricetag of a 3 star. Nothing to dislike. You have to offload your bags. Drive up the road and park its not far just don't take too much luggage.,unless you want to drive all round the town.only residents are allowed to park inside the walls. These towns haven't changed in centuries. The Spanish maintain them beautifully. It's a pleasure to stay there. 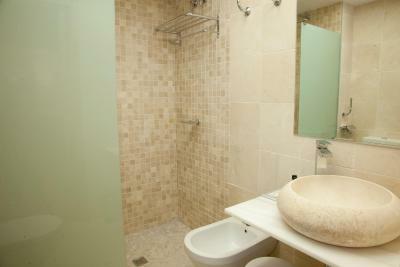 Large comfortable room with a large new bathroom. The room had a fabulous view of the valley far below. 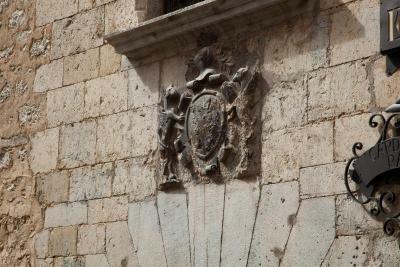 The hotel is the former home of a cardinal from the the Middle Ages. 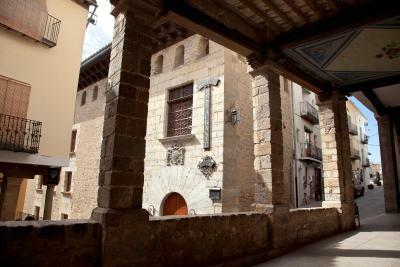 Morella is a charming Village from the Middle Ages with a magnificent castle crowning the top of a high rocky hill. Loved it! The restaurant is excellent. the restaurant offers only medium standard dinner. location is great. in the middle of everything. 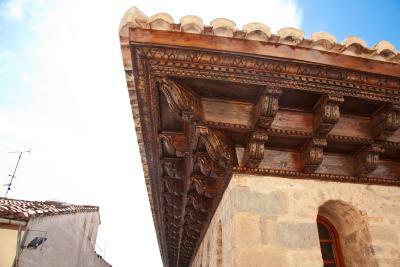 especially it is on the main street where you get all the restaurants and souvenir shops. all attrations arw within 5 to 15 mins walk. very clean. well decorated with good embience. it brings you some castle feelings. It's a bit old-fashioned, but that's part of the charm! 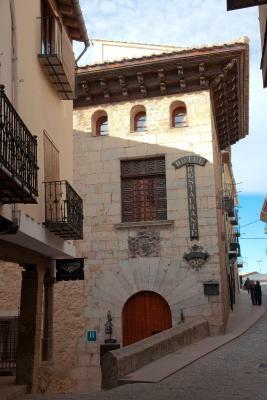 Comfortable hotel in the centre of Morella. View rooms fantastic. Had to pay for breakfast, but only 7EUR and it was fine. Lots of character, elegant old-school charm. Friendly staff. Very charming town. A hidden gem. 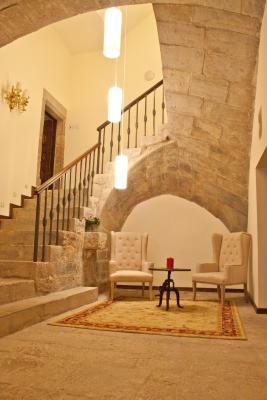 Beautifully renovated hotel in a charming village. Room was spacious. Large bed. Room had outstanding view. Nothing - it was gorgeous! Trying to get there on a GPS was not possible as the lane ways and strairs are not specific for google maps or GPS. No real effort made to promote dining, breakfast looked very basic so we dined elsewhere for all meals which is a real shame as they have a really pleasant small terrace at the entrance to the hotel but we just couldn’t be bothered to try it as other places in town try harder to gain custom. Rooms, great views from mountain view room, modern interior in a former palace, best location for local bars/restaurants, lots of rustic charm and in keeping with the village.